It’s been more than 4 years now that Delicious Seeds started developing plants with high levels of CBD and after so much research and effort, this year they can reveal their first non-photo dependent high CBD strain. 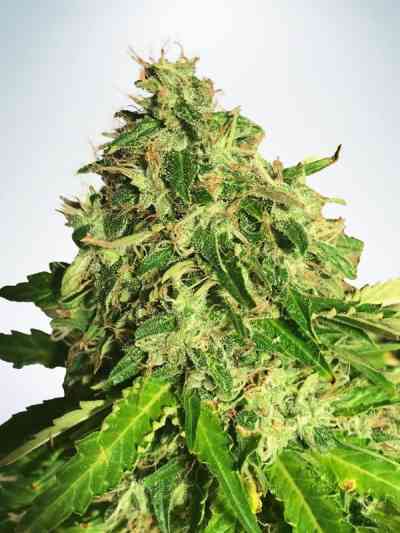 Blue Ace CBD Auto is a fifth-generation non-photo dependent plant that is the result of a cross between La Diva and Carmen Auto. They’ve worked through more than 5 generations to convert carmen into a non-photo dependent plant with a high CBD concentration and a very subtle and agreeable taste and smell. Like many high CBD strains, the taste is fruity with citrussy notes. 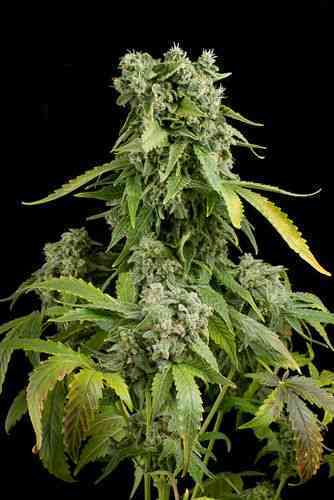 The end result is a non-photo dependent plant with THC-CBD ratios of between 1:1 to 1:2. As it dries, the most volatile substances of Blue Ace give way to a taste between acid fruit and pepper with an aftertaste of hash. With ratios of 1:1, 1:2, it is an ideal plant both for medicinal use and for those wanting to combine its use with the performance of tasks requiring concentration. Owing to its THC-CBD ratio, the psychoactive effect is slight and very bearable from the start. Some users experience states of deep introspection. This strain has been proven to be perfect as a painkiller and for calming states of anxiety or nerves. Esta deliciosa y aromática variedad creció sin problema alguna en exterior entre marzo y agosto del año pasado. TOP!